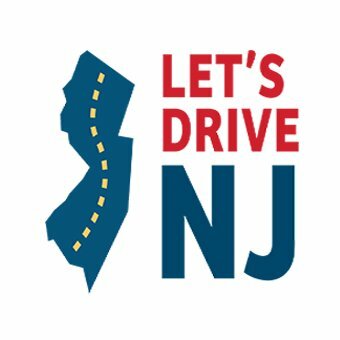 The DE-NJ NLG calls on Assembly Speaker Coughlin to post the bills A4743/S3229 for a vote now to expand access to driver’s licenses to all qualified NJ residents. The Delaware-New Jersey NLG has joined forces with almost 80 community, faith, labor, social service, and advocacy organizations to urge NJ lawmakers to expand access to driver’s licenses in the Garden State. Too often, otherwise qualified drivers face barriers to obtaining a license. Vulnerable populations such as undocumented immigrants, formerly incarcerated people, survivors of domestic violence, transgender individuals, and senior citizens are disproportionately impacted. Twelve states and Washington, D.C. have expanded access to driver’s licenses to qualified drivers, regardless of immigration status. With the introduction of A4743/S3229, New Jersey is poised to join these states. Passage of A4743/S3229 – which would create a second category of NJ driver’s licenses and identification cards, and allow residents unable to prove lawful presence in the US to receive permits and standard driver’s licenses or identification cards – would increase public safety, strengthen NJ’s state economy, and enhance the well-being of all families including the estimated 719,000 New Jerseyans who would gain access to a driver’s license. FAILURE TO EXPAND ACCESS TO NJ DRIVER’S LICENSES PLACES UNDOCUMENTED IMMIGRANTS AND THEIR FAMILIES AT RISK. FAILURE TO EXPAND ACCESS TO NJ DRIVER’S LICENSES ENDANGERS OTHER MARGINALIZED COMMUNITIES, SUCH AS VICTIMS OF DOMESTIC VIOLENCE. THE REAL-ID LICENSE HAS PRIVACY IMPLICATIONS FOR ALL NEW JERSEY RESIDENTS. PASSAGE OF A4743/S3229 WOULD INCREASE PUBLIC SAFETY AND CONFER ECONOMIC BENEFITS FOR ALL NEW JERSEYANS. The experiences of states with similar laws – which increased the percentage of drivers who have learned state traffic laws, passed a driving test, and become eligible for driver’s insurance policies – demonstrate convincingly that passage of A4743/S3229 will likely reduce the number of traffic accidents on New Jersey roads. There is a compelling public safety argument to be made for allowing undocumented residents to obtain driver’s licenses. New Jersey would realize an estimated $209 million in new insurance payments from passage of A4743/S3229. The Garden State has the nation’s most expensive automobile insurance, with an average cost of $1,184 that greatly exceeds the national average of $797. A larger pool of licensed and insured motorists would likely help to lower costs to car insurance providers and allow for reduced car insurance premiums for drivers across the state. Allowing all New Jerseyans, regardless of status, to drive legally would help New Jersey’s economy by increasing state revenues. New Jersey could expect to generate over $9 million in new revenue from the licensing fees paid by newly eligible applicants. Expanding the number of New Jersey residents who have access to independent transportation, without fear of detention for driving without a license, would create a new pool of state residents who are able increase their purchasing power through access to better-paying jobs, which would, in turn, stimulate local economies. Posted in Announcements and tagged Immigration, NLG DE-NJ.